Do you want to learn how to draw at the Scribbles Institute? 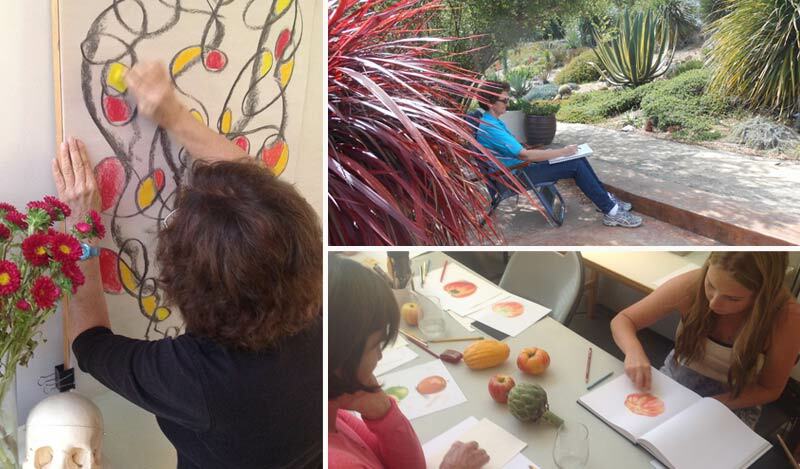 Spend time each week sketching with Rob Court in classes and workshops. Or dive in for an intensive month of private drawing, creativity, and productivity training. Please scroll down to view our rates. Free: Every month, receive Rob’s helpful drawing tips and info on upcoming events when you sign up for our eNewsletter. You can also join our free SketchTribe and iPad Drawing Meetup groups to draw with Rob and test-drive the Scribbles Institute studio. $45-$150 SketchTribe Workshops: Join our in-studio and on-location workshops with Rob and other instructors. 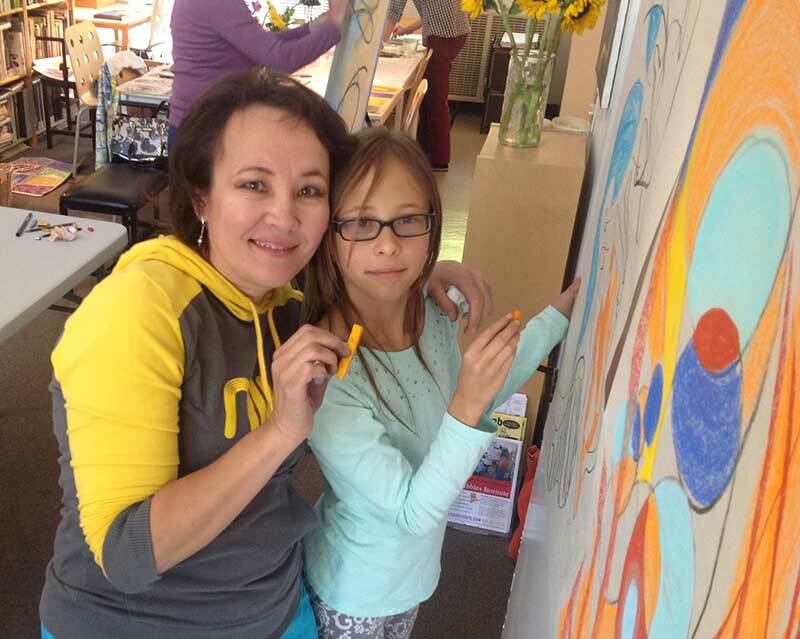 You’ll get hands-on, personal instruction in observational drawing, abstract/expressive drawing, sketchbook skills, iPad drawing, concept sketching, pastels, charcoal, and colored pencils. Saturdays and evenings. $175 per month In-Studio Lessons (4, 2-hour sessions): Our most popular lesson package. 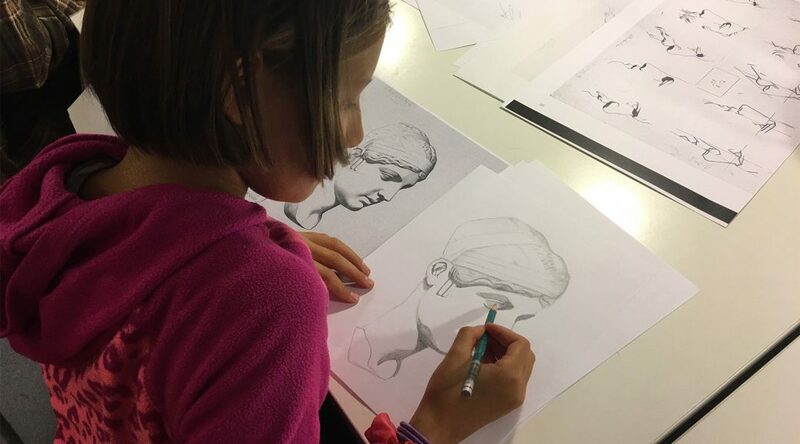 Adult and youth Drawing Lab sessions meet one evening per week. Learn basic drawing skills in our friendly Santa Cruz studio with Rob and other like-minded students. Includes email access to Rob’s coaching. $350 per month Draw With Your Kids (4, 2-hour sessions): The family that draws together, has fun together! Our Draw With Your Kids program (7-12 years old, and parent) teaches a meaningful approach to exploring and applying your child’s innate desire to draw. $395+ Private Coaching: Want to get serious about having fun drawing? Get intensive on-on-one coaching with Rob Court. Improve your drawing skills. Learn to apply drawing to your own interests such as visual art, design, and illustration. Get exclusive lessons on how to use drawing to improve creativity and productivity in your life. 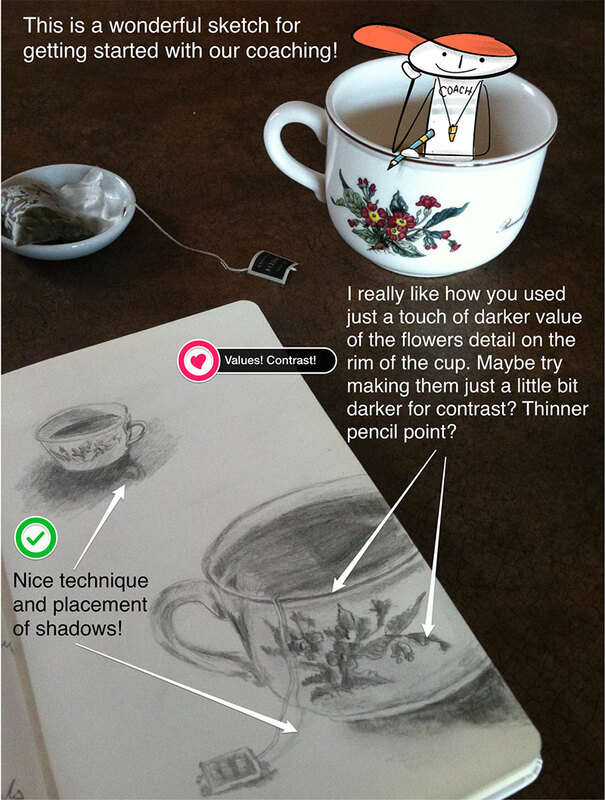 Starting at $225 Mobile Coaching: Make Drawing Your New Favorite Habit! Spend as little as 15 minutes per week learning basic drawing skills with drawing coach, Rob Court. Get help with your drawing while at home, the office, or traveling. Corporate Coaching Drawing/Creativity/Productivity: Rob will gladly come to your company and teach a small group of employees basic drawing skills and how to utilize those skills for creativity and productivity, specifically for their needs. Learn to use iPad drawing and productivity apps to develop concepts. In-studio and on-location sessions available. Rates available upon request. Books: Use Rob’s how-to-draw books to help you learn new skills. You can also use the lessons for online lessons with Rob.